You are an active wheelchair user who has been searching for an extra kick for some time? You would like to feel the wind in your face and the quickening of your pulse again? Then it may be time to rise to a special challenge. 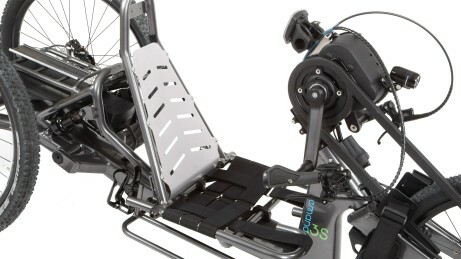 Expand your personal horizons with the attractive aMano 3 recreational handbike, helping you rediscover mobility safely. 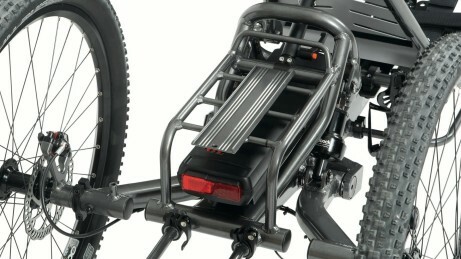 Next to the manual version powered by a hand crank, the adjustable handbike is also available with electric support. The eMano 3 with the powerful Bosch electric drive provides you with support for even more enjoyable recreation. Manually powered or equipped with the electric drive for added support - the time has come to redefine your limits. 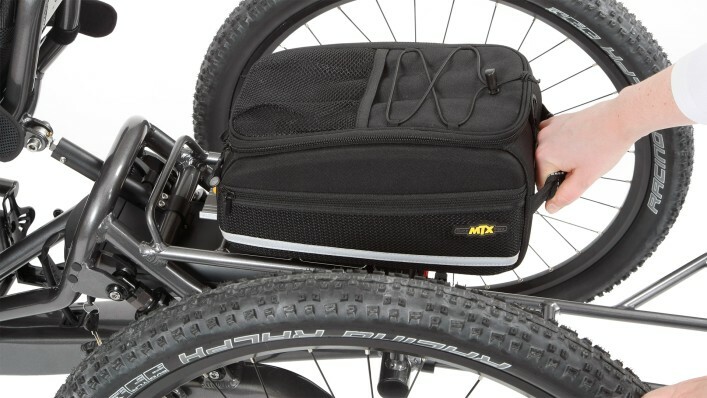 The lengthwise adjustable leg rests with hook-and-loop straps that can be positioned as desired provide you with the required safety to tackle any terrain with the bike. The battery is designed for very long distances and supports you even on extended trips up to 60 km. The battery can be charged within 2 hours, for example during a hearty meal, getting it ready for the next leg of your tour. 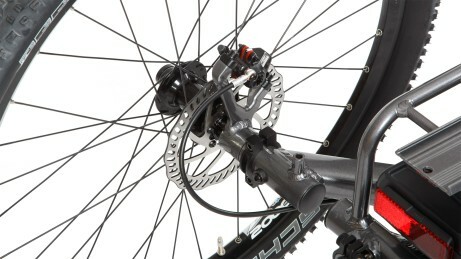 Even under load, the optional Di2 transmission ensures that gears are changed with only a quick push of a button. 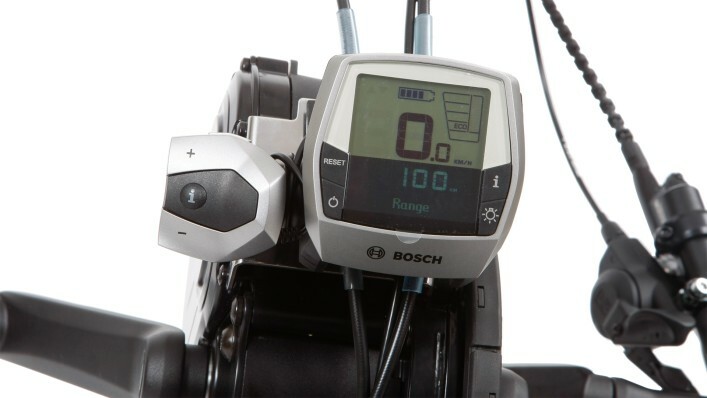 The Bosch electric drive is programmed especially for hand crank operation. 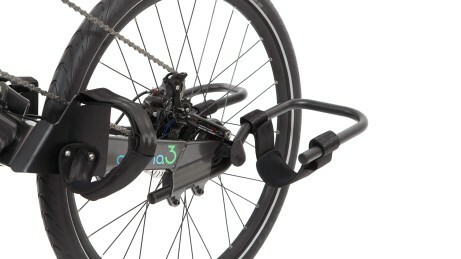 It provides powerful support immediately when pedalling, making it easy for anyone to start off, even on hills. 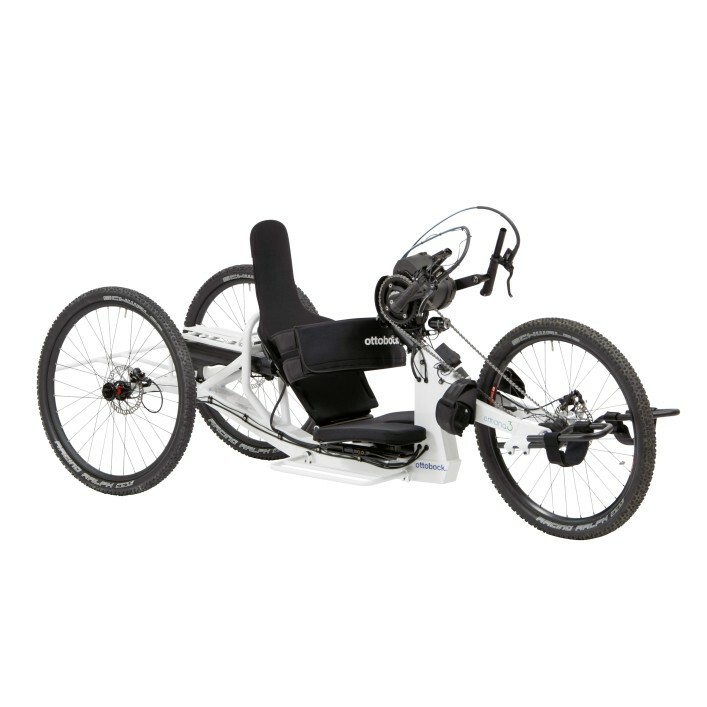 With the three hydraulic Tektro disc brakes, you need less force in order to reliably stop the handbike, even during off-road use. So you are always safe on the go. The seating unit can be shifted in various lengthwise positions. 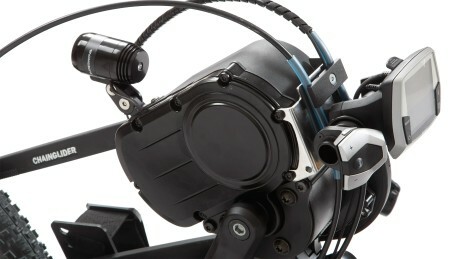 What's more, the back angle is continuously adjustable so that you can adapt your handbike precisely to your needs. The special tube structure is ideal to support you, making it easy to get in and out. This is inclusion: a joint bike tour on the road or off-road. 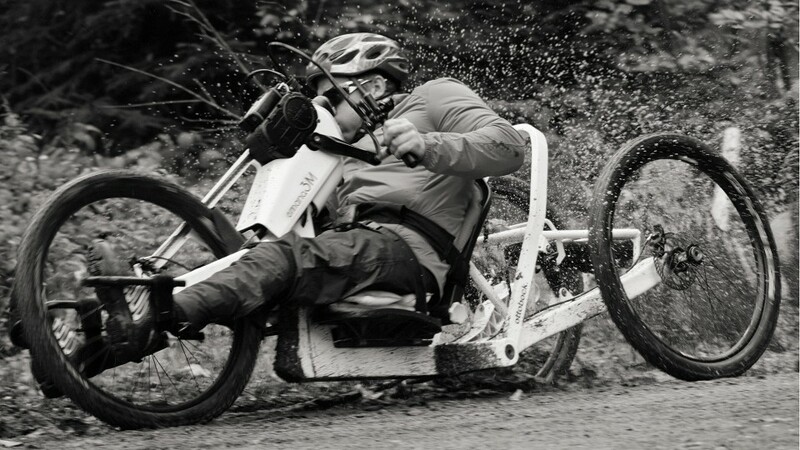 Mountains lose their terror with the electric support of the eMano 3, even for untrained handbikers. Endurance sports demand fitness and wellbeing. 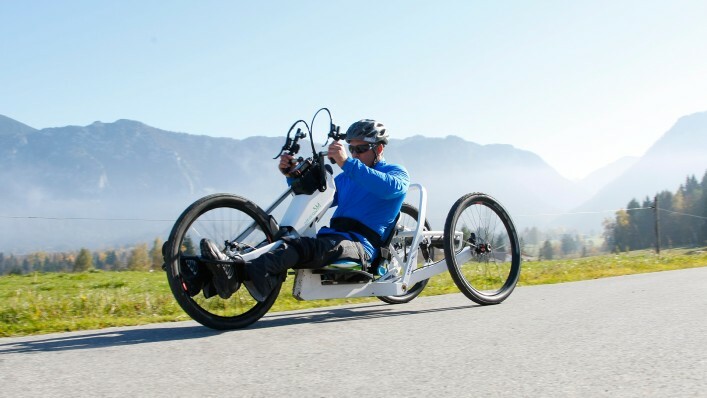 With the right handbike, the initial 5 km quickly turn into 50. Thanks to support from the electric drive, training in the optimum pulse range is also ensured at all times. 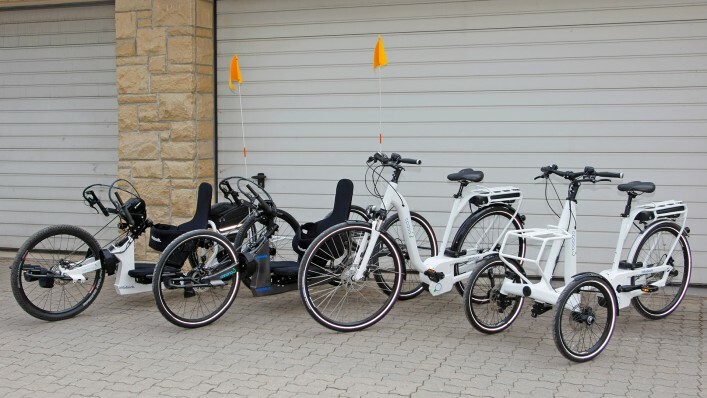 With the models of the Ottobock bike family, you can also take joint tours as a group. 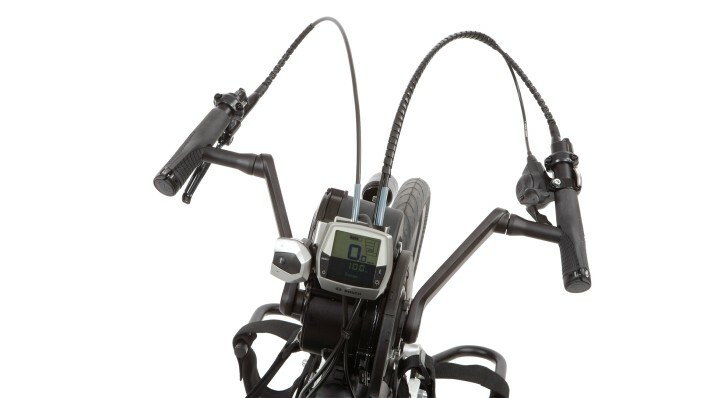 The Shimano shifter is standard equipment and allows you to change gears in comfort. The Intuvia display on the eMano 3 always keeps you informed of the current status. Your range, kilometres travelled, battery charge level or the current mode, the central display tells you everything. 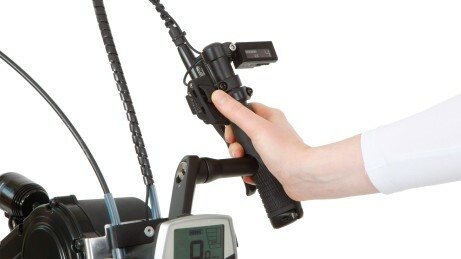 You can even use it to operate the lights on your handbike. 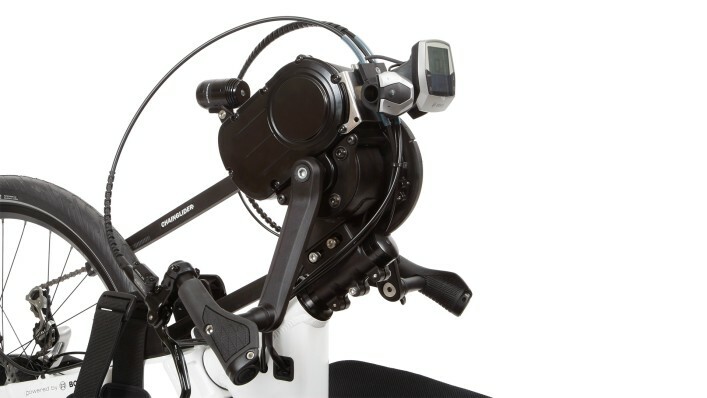 The height of the crank end can be preconfigured in various positions, so that you can enjoy an ergonomic crank position for relaxed, long-term riding pleasure. 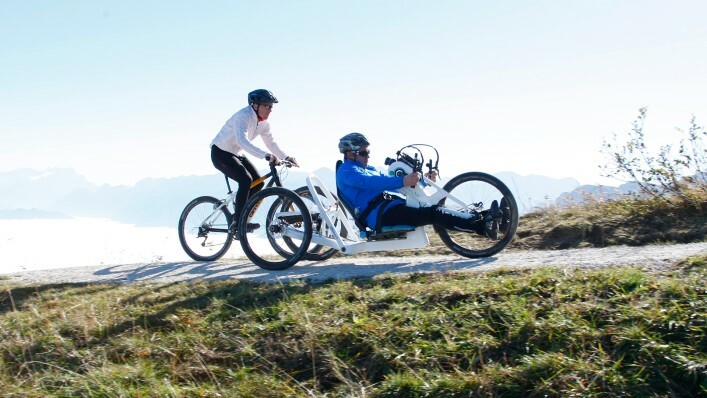 The luggage box mounted on the back of the handbike with a click mechanism provides space for useful items you want to take along on your tour. * The weight specifications vary according to the selection of options. No. 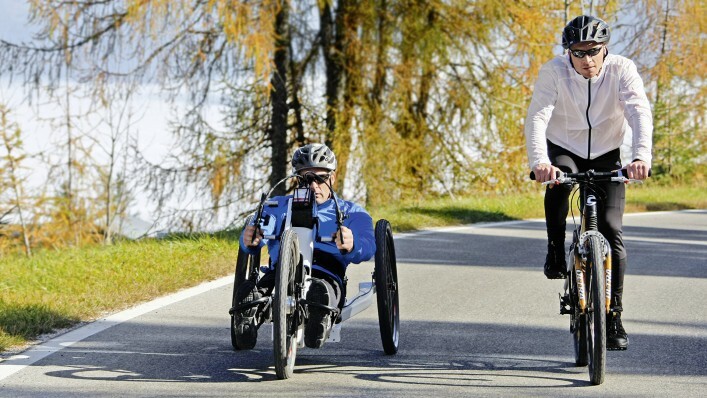 Handbikes are not considered medical devices, but rather sports equipment, and as such they are not covered by paying parties.